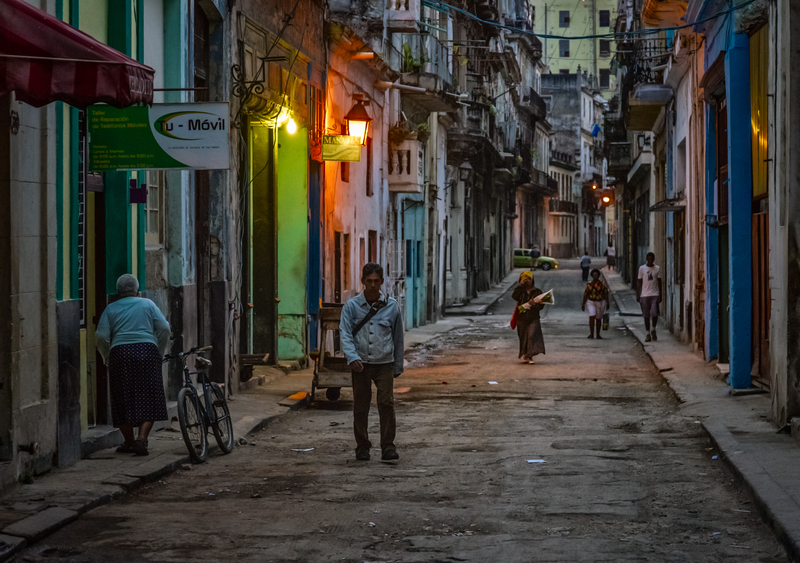 In late January, I was very fortunate to be able to participate in a week long people-to-people cultural exchange to Havana, Cuba led by a team from Santa Fe Photographic Workshops. My good friend and photo buddy Doug Kaye had been suggesting we try to get to Cuba in 2013 — and, thanks to Doug, we were lucky to be in the right place at the right time when Santa Fe opened their 2013 Cuba workshops last September for registrations. As Ann Eddington commented last month about her trip to Cuba last year, Cuba is like “this time machine from 1961” — and it’s my sense that Cuba is on the cusp of accelerating change as the the world outside begins to more seriously affect the life of its people coupled with the small steps recently taken by the Cuban leadership to enable small business, more liberalized travel by Cubans, etc. Our group (42 photographers in total — split into three sections) flew into Havana’s José Martí International Airport on an American Airlines charter flight from Miami. As the US government has gradually eased up on travel restrictions for these kinds of cultural exchanges, Miami has become the primary departure point for US visitors to Cuba. We stayed at a great hotel in the area between Old Havana and Central Havana that provided an ideal starting point for each of our daily walks into the nearby neighborhoods to meet with Cubans. Our days began with an optional “Dawn Patrol” session that departed the hotel in darkness at 6:15 AM each morning — and caught the early morning glow and sunrise in the neighborhoods. Morning and afternoon walking tours followed, with us reconnecting each evening back at the hotel and then heading out to dinner in small groups. Many new friends were made along the way! We had a couple of fun evenings out — one at the famous Tropicana floor show and another at Café Taberna listening to some of the great music popularized by Ry Cooder and his Buena Vista Social Club. 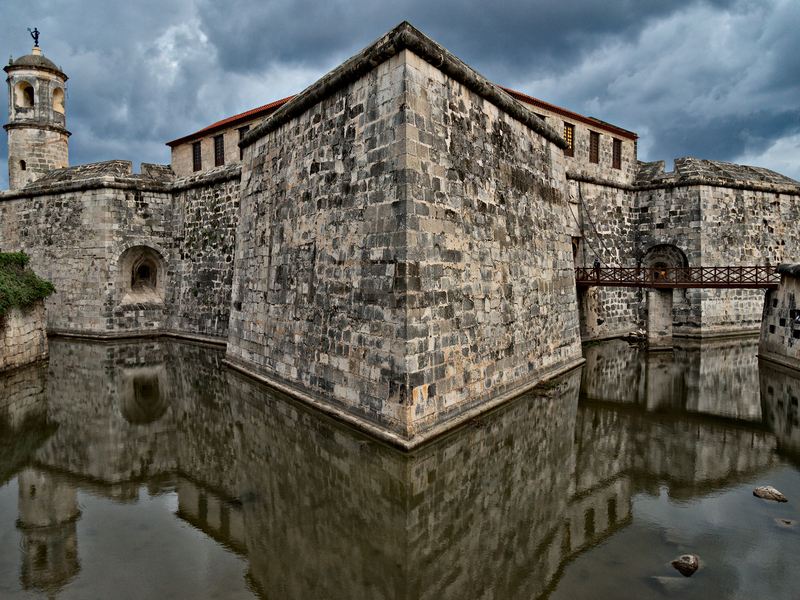 For amateur photography buffs like Doug and me, Cuba was simply wonderful. We had so many great interactions with people who enjoyed being photographed and seeing their images on the backs of our digital cameras. We saw the culture at work, keeping the Havana streets cleaned every morning, buying and selling at the market, and then enjoying themselves with music and dance. It’s a special time for Cuba — if you have an interest, go soon — and savor their special culture and the people you’ll meet. I’m so glad I went – and would love to go back again soon! 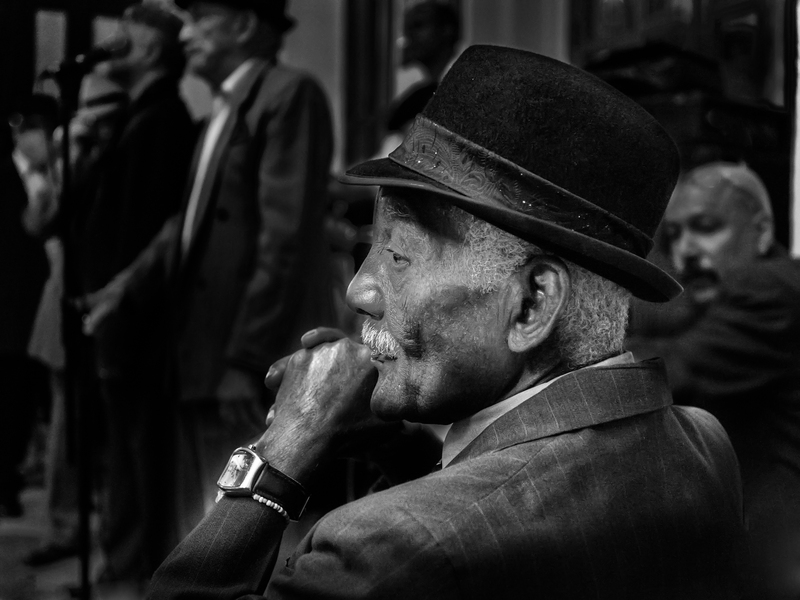 Note: You can view more of my images from Havana and Cuba on my personal blog at http://sjl.us. If you enjoy photography like I do, you might especially enjoy my post titled “What I Learned about Photography in Havana“. Scott Loftesness is co-founder of InMenlo. Scott’s photos are always beautiful. This is a setting worthy of his talents.